BillGuard Review.... Should I Try it Out? Do you want to save money but aren’t quite sure how to go about it successfully? One way to do it is to take advantage of one of the “money saving” apps that are available for your smart phone or tablet. And will BillGuard actually help me save money? We’re also going to take a look at some of the pros and cons that we can see by using BillGuard so that you can get a better idea about whether or not BillGuard is right for you. So, without further ado, let’s dive right in! As we mentioned, BillGuard is a money-saving app. However, it is actually more than that. Unlike other apps, it’s highlighted feature is that it helps you to know if there is any fraudulent activity on your cards or bank accounts. And unlike some of the other money saving apps that we’ve review such as Mint, Digit, and Qapital, BillGuard’s primary role is to alert you to any “potentially” fraudulent activitiy. When you think of fraudulent activity, you think of all those big spending sprees done by someone who breaks the bank! But actually, there’s a lot of fraudulent activity that happens on the “down low” – smaller charges here and there that you might not even notice on your card. BillGuard reviews your purchases line by line to make sure nothing fishy is going on. How does it BillGuard work? BillGuard works by basically bringing “questionable transactions” to your attention so you can review them and make sure they are legit. If not, you can catch them and report them to your bank or credit card company immediately. Of all those “automatic charges” that we tend to forget about. Signed up for a dating site and are still paying monthly charges despite the fact that you don’t even use the service anymore? Or how about that gym membership that yo haven’t used in 5 years? BillGuard points out these “types” of charges too, and hopefully helps you eliminate them, ultimately helping you save more money. BillGuard was founded in 2010 by Yaron Samid and Raphael Ouzan. The company was acquired by Prosper Marketplace in 2015. Proper Marketplace is most widely known for its fork in peer-to-peer lending. In addition to what we’ve already mentioned, there are some other great things about Billguard. In addition to looking for fraud or errors, BillGuard will help you get a better picture of your overall finances. It will see where you might be overspending and help you to change your habits to help you save. It’s not very difficult or confusing to use Billguard. This is a major plus, especially if this is your first time trying to use an app for budgeting purposes. You can download BillGuard for free! 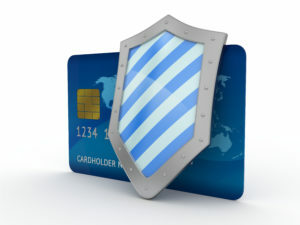 BillGuard “primary” goal isn’t to help you save money, it’s to help you detect and avoid fraud. Now, “not getting ripped off” will certainly help you save money, but if you are looking for an app that specializes in helping you to save then another app might actually help you do a better job at that. Perhaps BillGuard, would best be used in combination with another “truly” money saving app with will allow you to take advantage of both worlds, fraud detection and money management! It does sound funny, doesn’t it? Taking advice on a personal budgeting app from a company that specializes in helping folks purchase life insurance, right? At first glance, yes it may come across as strange. But the reason we’re reviewing money saving apps falls right in line with our primary goal here at TermLife2Go which is to help our clients secure the financial security of their family. We personally believe that purchasing a life insurance policy will go a long way in doing this (just in case you’d like to compare Term Life Insurance Quotes), so will managing your managing your money well and avoiding going into debt! We here at TermLife2Go do not receive any type of “compensation” from BillGuard for writing this article. Nor do we have any type of “business” relationship with BillGuard. Which is why we would recommend that before you make any decisions about using BillGuard or not, you should first visit Proper.com, the parent site for BillGuard and decide for yourself. Did you enjoy our BillGuard app review? Well if so, you may also like to take a look at some of our other “money saving” articles or better yet, you can also take a look at our 100 Ways to Make Money Fast article, because after all, isn’t more fun to MAKE more money than to have to worry about saving more money?